Heat oven to 350°F. 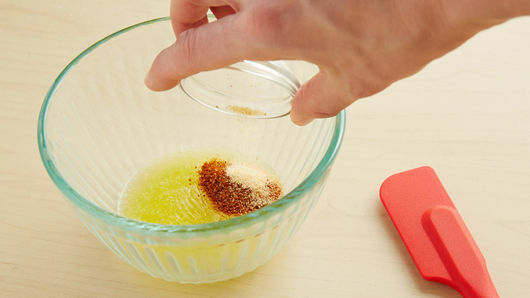 In small bowl, stir melted butter, Old Bay™ seasoning and garlic powder until well mixed. Separate dough into 8 biscuits. Separate each biscuit into 2 layers. Place 8 biscuit pieces on ungreased cookie sheet; brush with butter mixture. 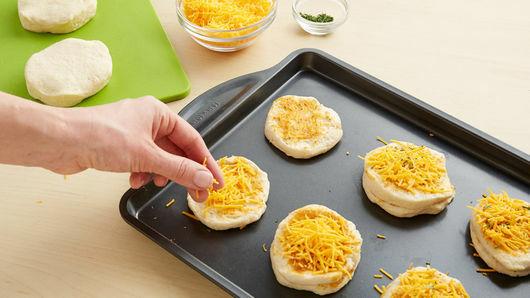 Sprinkle each with about 2 teaspoons Cheddar cheese. Top each biscuit with remaining biscuit layers. Brush with butter mixture; sprinkle with remaining Cheddar cheese and parsley flakes. Bake 14 to 18 minutes or until golden brown. Serve immediately. 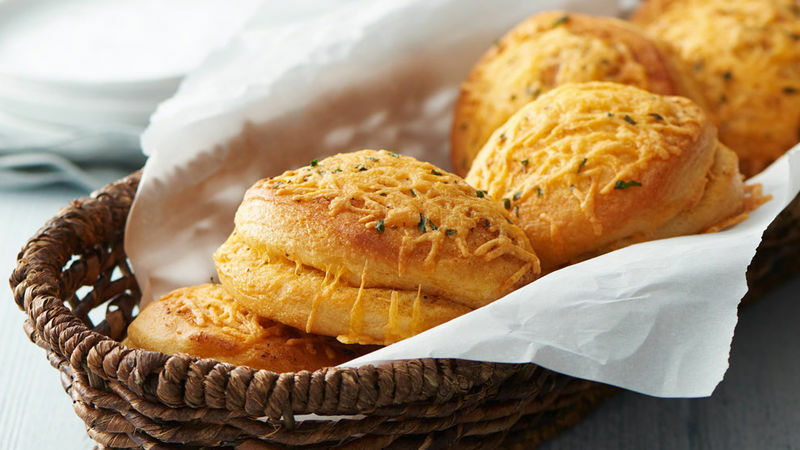 For a more buttery flavor, substitute Pillsbury™ Grands!™ Flaky Layers Butter Tastin'™ biscuits.